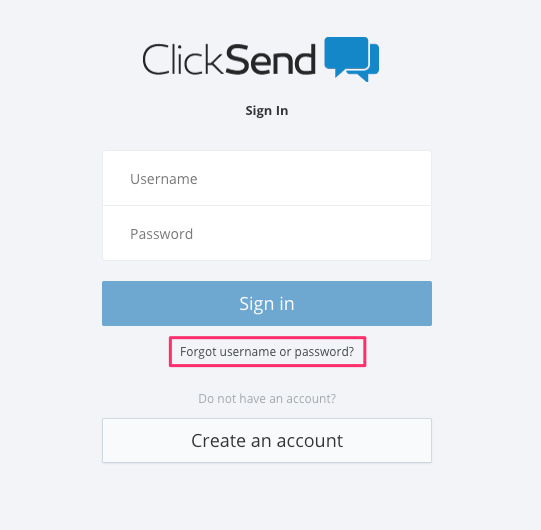 ClickSend Help Docs - How Do I Change My Password? All Categories ​>​ Accounts ​>​ How Do I Change My Password? Click on your username in the top right hand corner. You can reset your password on the login page and we will send you a password reset link. If you have forgotten both your password and username our 24/7 support staff can send a reset link to the email associated with the account.